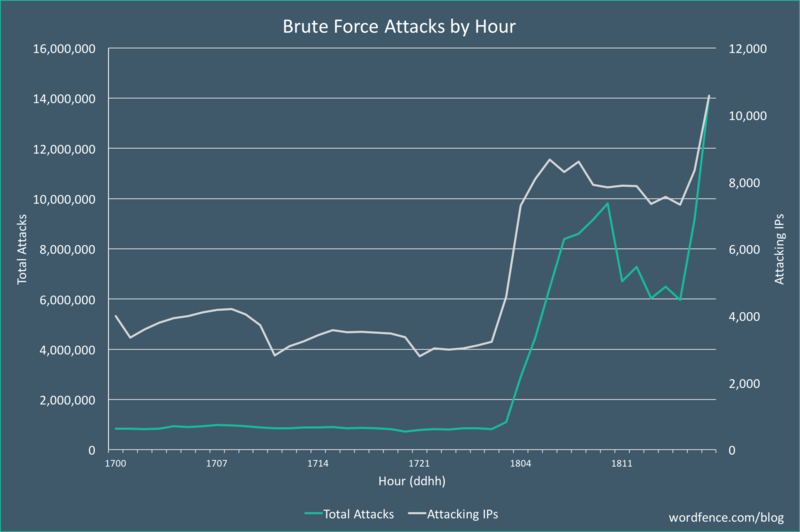 – Install a firewall like Wordfence that intelligently blocks brute force attacks. – Ensure that you have strong passwords on all user accounts, especially admin. Wordfence Premium provides password auditing capability. – Change your admin username from the default ‘admin’ to something harder to guess. – Delete any unused accounts, especially admin accounts that you don’t use. This reduces your attack surface. – Enable two-factor authentication on all admin accounts. Wordfence Premium provides two-factor. – Enable an IP blacklist to block IPs that are engaged in this attack. Wordfence Premium provides a real-time IP blacklist. – Monitor login attempts by configuring alerts when an admin signs into your website. Wordfence (free version) provides this. – Do not reuse a password on multiple services. That way if you have a password from a data breach in this new database, it won’t be the same as your WordPress admin password. You can use a password manager like 1password to manage many passwords across services.